Mix butter, sugar, crushed candy, and vanilla thoroughly using a mixer. Gradually blend in flour and cornstarch. Form into one inch balls and place on parchment paper lined baking sheets. Gently press the dough down to flatten each cookie. Bake in a preheated 300 degree oven for 25-30 minutes or until the bottoms of the cookies begin to brown. Cool for five minutes. Remove the cookies to a wire rack to cool completely. Combine the confectioners' sugar, milk, and vanilla and mix until the frosting is smooth. 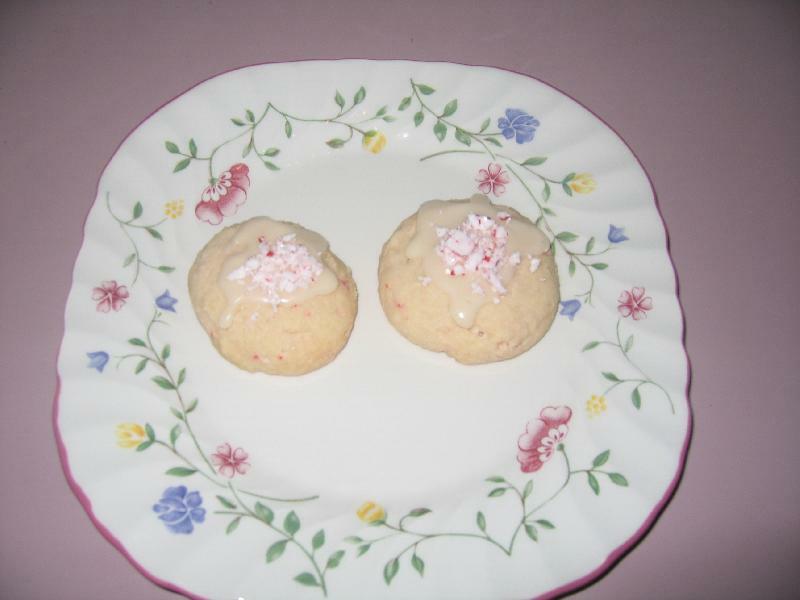 Drizzle the cookies with the frosting and sprinkle with the crushed candy. anonymous : MaRy & Mom are going to try this one.